How have the Oblates and the spiritual family of Saint Eugene de Mazenod lived their relationship with the new saint during the past ten years? We have come together in this place to celebrate an anniversary. It was exactly 10 years ago that Pope John Paul II solemnly declared, before the Church and the whole world, that Eugene de Mazenod, son of the city of Aix, Founder of the Oblates of Mary Immaculate, and Bishop of Marseille, should henceforth be considered a saint. I would like to make two preliminary remarks before going into my topic, “The inspiration of a new saint,” which will show how the Oblates and the spiritual family of Saint Eugene de Mazenod have lived their relationship with the new saint in these past 10 years. a) First of all, I would like to point out how, independently of the ceremony led by the pope in Saint Peter's Basilica, Eugene had already been canonized in some sense by many simple believers. I will give two examples. (1) Someone sent me a photo of a loving devotee of Saint Eugene in Paraguay. Paraguay is the country where I worked as a missionary before coming to Rome. The woman had made a “promise” to our saint, as they say there, and in thanksgiving for a grace received, on May 21, she dressed herself in a bishop's cassock, exactly like that of Saint Eugene, as he appears a well-known picture. (2) Another example of people who had anticipated the papal declaration about the sanctity of Eugene comes to us from a prayer group in Mexico. It is they who would obtain from God, through the intercession of Eugene de Mazenod, the healing of one Jesús Hernandez. Today we usually call him the “miracle man.” He was present ten years ago at the canonization, and I saw him again last December, in good health, when I visited Mexico City. That brings me to the following observation. I have been asked to tell how we Oblates have been inspired by the person of Eugene de Mazenod during these past 10 years, but I need to add that we are not the only ones who have been inspired by the new saint. Personally, I must tell you that I have been astonished several times by the trust in Saint Eugene that I have found among the laity and religious, and that has led me to reflect more seriously on the life of our Founder and to study his biography in more detail. b) My second thought. What is a canonization? What is its outcome? In my opinion, such a declaration of sanctity does not represent some sort of heavenly promotion. On the contrary, the Christian who is thus honoured remains forever the person he was before, and if now he is recognized as a saint, he had to have been one already in his lifetime. When we speak of canonization, it is important to remember that the saints also had their limitations and their faults, and those do not disappear with a ceremony in Saint Peter's Basilica. No, the canonization did not change our Eugene who virtues and also his difficult character are well known, but the canonization can change our relationship with him. Knowing now with certainty, because of the pope's declaration, that he has found God's mercy, we can now look upon him in a new way. Since the quality of his Christian life has been officially recognized, we are encouraged to seek the precious gold of his sanctity, even under the vestiges of some very human problems, the shadow side of a very great person. For believers, a saint is one who openly reflected the divine life; the canonization helps us recognize that the life of God truly existed within this person. On this anniversary feast, let us take a new look at the person, the life and the works of Eugene of whom Fr. DULLIER has already so well spoken. By these few comments, I want to demonstrate some changes that the canonization of our Founder has brought about, not in Saint Eugene, but in us Oblates. For 10 years now, we have come to look upon him as a saint. I find that this has been a wonderful time that we have lived from day to day. As for me, I have lived these 10 years entirely in Rome where I was able to be present at the canonization, and for seven years, I have been able to see the effects of this event as Superior General, consequently from the viewpoint of one has visited or is in constant contact with Oblates in 67 countries where we are located. Even though I will speak especially of our Congregation, founded in the Carmelite convent on Cours Mirabeau and which today has 4,400 members, I will also mention the laity and the other Congregations and Institutes that have taken their inspiration from Saint Eugene. How have we Oblates and the spiritual family of Eugene de Mazenod lived our relationship with him in these last ten years? How have we let ourselves be inspired by the new saint? That is what I will develop now. First of all, let us remember the day of the canonization. On the morning of December 3, 1995, I met Archbishop Marcello Zago, at that time Superior General, in the corridor of the General House. Full of joy, he greeted me and exclaimed: “This is the day the Lord has made.” It was the first Sunday of Advent. A few hours later, we left for the Mass at Saint Peter's Basilica. 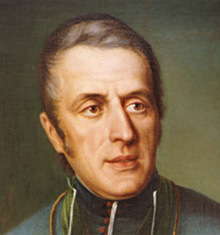 Eugene de Mazenod was the only one to be canonized on that day; his image had already been unfurled on the façade. The immense basilica was full -- 12,000 persons. Then Pope John Paul II and the concelebrants made their entrance. The universal Church, through the pope, for a few hours was focused on one thing: to proclaim to the entire world that Eugene truly was a man of God. Perhaps we lived this with so much joy because we had waited for it for so long. 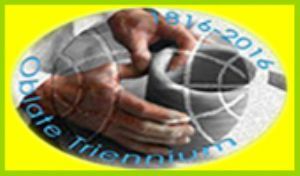 Twenty years had gone by since the beatification and fifty years of historical research. One of our experts, Fr. Yvon BEAUDOUIN, who for many years had worked on canonization processes, said that of all the cases he knew, this one was the most difficult. There were difficulties because of the very strong personality of Saint Eugene and also because of the enormous volume of his correspondence. Finally, all of the obstacles disappeared; in spite of everything, Charles Joseph Eugene de Mazenod was a saint. I also make mention of the “De Mazenod Year” which the Congregation lived in immediate preparation of the event. That prevented the canonization from being a meaningless event. There are always the critics. Were fifty ears of historical research really necessary? Didn't it cost too much? In all that fuss, didn't we diminish some of our effort for the poor whom the missionaries were sent to serve? We are not lacking in answers to these questions. Theology tells us that the charisms of God are always passed on through concrete persons, especially the saints. Nevertheless, the best response to the critics is found in the fruits which the canonization of Eugene de Mazenod has brought about in many places and throughout the world. It is sufficient to look at the fruits in order to be convinced that all the effort was worth it; everything as been repaid. I will give details of the effects and fruits of this event during these ten years in two steps. In the first, I will speak of persons or groups who have been inspired by the event; in the second, I will speak of the effect on the mission of the Congregation founded by our saint. 2. Persons and groups who were inspired by this event. There have always been people inspired by Saint Eugene. For this reason, there have been institutes dedicated to his name, even before his canonization: the “Mazenod Centre” in Lesotho ; the two Mazenod Colleges in Australia, and several others. But we must also note that in the past, there was not a lot of energy in this regard. There was a lack of publications in several languages. I must admit that as a German, I did not know much about the thought of Eugene during my formation. Since the beatification, and especially since the canonization, much has changed. The two Superiors General connected with those events were personally great witnesses about our saint. They spoke about him and wrote about him and sought ways to make him known. First of all, I must mention Fr. Fernand Jetté, Superior General from 1974 until 1986, who for me, he was among the first ones to inspire me with the spirit of Saint Eugene. One of the important things he did was to send out as his messenger Fr. Jean Drouart, a multilingual Frenchman, who went to almost all of the provinces of the Congregation. For many Oblates in the 70's and 80's, that was the first contact with someone who really knew and loved the Founder. I have the impression that he was the last important witness of the oral tradition that had remained alive since the time of Eugene. Fr. Jetté brought into focus this resurgence of the Oblate charism in the new edition of the Constitutions and Rules, approved by the General Chapter of 1980. His commentary on this Rule is entitled “The Oblate of Mary Immaculate, the Apostolic Man,”and with these words, he indeed painted a portrait of Saint Eugene. Fr. Jetté (op.cit. 29) quotes the Founder: “They are convinced that if priests could be formed, afire with zeal for men's salvation, priests not given to their own interests, solidly grounded in virtue – in a word, apostolic men…” and then he adds: “That was the dream of the Founder.” In conclusion, he returns to this theme with another quotation: “We want to choose men who have the desire and the courage to walk in the footsteps of the Apostles,” and he explains: “That is what Eugene de Mazenod stated in his first letter to Fr. Tempier, October 9, 1815.” (op.cit. 537) Eugene, the apostolic man : that is the title Fr. Jetté gave him. If Fr. Jetté was the Superior General of the beatification and of the new Constitutions and Rules, Fr. ZAGO, later to become an archbishop, was the Superior General of the canonization. Even before he knew that it would take place, he put the Congregation on the road to discovery of its origins. The International de Mazenod Centre here in Aix, at Cours Mirabeau, is the primary expression of this. Since 1990, almost every year there have been two and sometimes three sessions lasting three months each. We call this the “De Mazenod Experience,” according to the name given by the designer of the program, the American Oblate, Fr. James SULLIVAN. These sessions have allowed four to five hundred Oblates to stay for three months in Aix (or at Notre Dame de Lumières for a month of retreat) where they had nothing else to do but experience the charism and the personality of our holy Founder. And if Fr. Jean Drouart, during the time of Fr. Jetté, was the great travelling animator in this domain, during the time of Fr. Zago, Fr. René MOTTE was this providential person, here in Aix, and who, now retired, still lives in this city. All of that took place already before 1995. But it is only with the canonization that the interest in Eugene de Mazenod really took root. In spite of the enthusiasm of Jetté and Zago, Drouart and Motte, the majority of Oblates remained rather reserved. All of that changed in 1995. Posters were put up in public. Large portraits of the new saint appeared everywhere; churches were built bearing his name. We need to mention here the numerous studies and publications of these last ten years. Without giving a complete bibliography, I mention the complete edition of Eugene 's writings, in 22 volumes and translated into English, Spanish and other languages; several new biographies have been published; the huge Dictionary of Oblate Valuescan be found in four languages; and the first volume of an important historical dictionary is available. Several persons have written their theses for the licentiate or the doctorate on the great missionary of Provence and bishop of Marseille. Some shorter studies have had a major effect in guiding our meditation or clarifying some aspects of the thought of Saint Eugene. 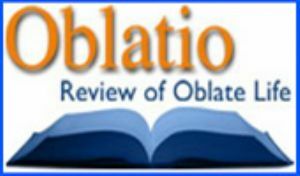 There is an Association of Oblate Studies and Research that has already organized important congresses and produced numerous publications. They are now preparing for a major gathering in 2006, in Germany. All of that has helped the Oblates better recognize their roots. We have rediscovered our identity where formerly there was confusion. We have found a more definite place in the Church. One particular point has been clarified for us since the canonization, the community aspect of our roots: serious research has shown that Eugene wanted us to be a community, apostles who always leave from and return to the community. 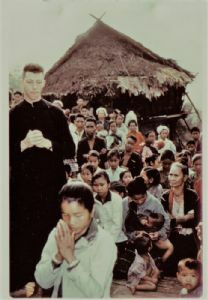 This community dimension is expressed also in a form of prayer that our Founder left us as an legacy and which he called “oraison.” Inspired by his formation at Saint Sulpice, he considered this silent and prolonged prayer before the Blessed Sacrament a sort of spiritual meeting of the missionaries in the presence of Jesus, including, in a special manner, those who were absent and those who were working on other continents. We must also mention the other Congregations and Institutes, other than the Oblates, which have ties to Eugene de Mazenod. There about 40 of them. Twice now the general leaders of these Institutes have come together. The last time, in 2004, there were 16 representatives present at the Centre on Cours Mirabeau. All of them consider the life and the thought of De Mazenod to be part of their own heritage. 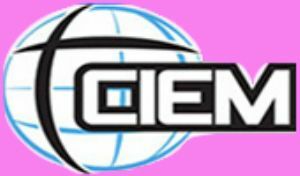 There are Institutes with over a thousand members and others that are dying out; some go back to the time of Saint Eugene, and others are very recent, such as five new foundations: three in India, one in Paraguay, and one in Spain. By our contact with these groups, we became aware that the spiritual strength of a saint is larger than we are; it is truly a great gift which we have received from above, and which, indeed, we bear in earthen vessels, but how precious it is, with a strength that is always astonishing and always producing new surprises. The fruits of the canonization go beyond personal devotion or the spiritual life within certain groups. Over and above that, one can notice its effect on the thought and the missionary practice of the sons and daughters of Saint Eugene. What effect has the canonization had on the mission of the Oblates? Every six years, the Missionary Oblates of Mary Immaculate hold their General Chapter, a sort of parliament, where about a hundred members democratically represent the whole Congregation. It is at these meetings that we can take the pulse of our missionary effort. Even before the canonization, the Chapter of 1992 emphasized the community aspect of our mission, with the theme “Witnessing as Apostolic Community,” a wonderful expression of the insight of Saint Eugene when he founded the Oblates in 1816. The first Chapter after the canonization, in 1998, concluded the 12 years in office of Fr. Marcello Zago, who by then had already become an archbishop and Secretary of the Congregation for the Evangelisation of Peoples at the Vatican. The theme, “Evangelising the poor at the dawn of the third millennium,” accented the great missionary task that is always awaiting an effective response from the Church. During his 12 years in office, Fr. Zago had founded 13 new missions in 13 new countries, for example: Venezuela and Cuba, Kenya and Angola, Ukraine and Turkmenistan. At this Chapter, we welcomed these foundations with joy and with a renewed missionary effort to go into the third millennium with immense hope. One could really sense how much the canonization was increasing the missionary enthusiasm of the Oblates. As is the case now, the Congregation is generally not in a phase of growth. Our presence has been traditionally very strong in the northern hemisphere, especially in Canada ; but now our number continues to decrease in those countries. In spite of that, we were able to found these 13 new missions, and during my term, new foundations continue: Romania, Guinea-Bissau, Byelorussia, and Vietnam. But our more conscious focus on Eugene de Mazenod has led us to try not only to broaden our outreach, but also to grow in depth and in quality. I have already mentioned several times the community dimension of our mission. That dimension is certainly part of this focus on certain missionary choices of Eugene and of our will to survive. Eugene preferred the poorest and the most abandoned; thus we have sought to be closer to these groups, whether in the outskirts of Marseille, Paris and Strasbourg, or in the Amazon or among the Muslims in the Philippines. A year ago, a new mission, with an international team, was begun in Birmingham, in order to establish a presence at the heart of the secularised world. Here in Aix, Eugene worked with youth; through his inspiration, especially in Europe, we have made new efforts at working with youth. Already during his own lifetime, Eugene established the Congregation on four continents; that has encouraged us to be more open to international collaboration. One could add other examples in the Oblate world. In order to go beyond local initiatives, the whole Congregation entered a process several years ago which we call “Immense Hope.” It is a process of evaluating all of our missionary commitments. Have we perhaps become too comfortable where we are? What should we be doing in order to announce with greater passion this Immense Hope who is Christ, in those places that need it the most? I hope that during the five years remaining in my term as Superior General, the Congregation will continue along this course of self-evaluation and missionary planning. If I were to formulate my missionary vision, I would do it in this way: a) emphasize even more our community life and make our communities more international; b) then move into the mission of dialogue, one of the resolves of our last General Chapter in 2004: dialogue with the secular world, interreligious dialogue. One expression of this could be our presence in China. c) explicitly proclaim Christ in places that are opening up to that possibility: in Latin America, Africa and the countries of the Orient. That will require much flexibility on our part. The Oblate spirit consists in the gift of self, as Saint Eugene himself lived it. In passing, I would mention that a similar missionary effort, inspired by the new saint, can be found among the Lay Associates and the other Institutes in the spiritual family of Eugene. Already they are making pilgrimages to Aix to be all the more inspired by this charism that gives them life. Their many missionary choices already express their preference for the poorest of the poor, all over the world. Does that not sound like Eugene visiting the houses, one by one, during the missions in Provence ? Or the bishop visiting the sick in Marseille? Saint Eugene or not, the dialogue mentality has an important role in the mission of the Church and of the Oblates; always close to the people, after the example of our saint, we are encouraged to live by that spirit. In conclusion, I would like to acknowledge how Saint Eugene has become for me personally a continual source of inspiration, especially since the canonization. Almost every day I am in touch with his writings or I invoke his intercession. Perhaps the canonization would not have had the same impact 30 years ago. I believe that today, we Oblates have even more need of a saint than in the past. The O.M.I. Congregation no longer has a well-defined centre as in the past when it was the countries of the northern hemisphere sending missionaries to the southern hemisphere. Today, the centre of gravity has shifted, or even better, we have become multi-centred. In this situation, the only thing that can unite the Oblate family is their Founder; he has remained the only common reference point. That is why I myself seek inspiration and help from our Founder. And Saint Eugene is just the right person to fill the role of common reference point in an international world. A man with a big heart, “a heart as big as the world,” according the words of another bishop who so described him during his lifetime; a man with his faults; son of a broken family; a man who loved the poor and risked his life for them during epidemics; who loved the Church even while suffering because of her weaknesses; and especially, a man full of Jesus Christ the Saviour – there is the saint who can unite our multi-centred Congregation and give it new confidence to the four corners of the world. Here is a saint who can inspire all of us in our duty to bring the experience of Christ the Saviour, especially to the poorest and most abandoned. Aix can be proud of her saintly son. This Sunday, the Missionary Oblates of Mary Immaculate are making a special visit to this Church. We are in a festive mood.. it is to celebrate the 10th anniversary of the canonization of our founder, St. Eugene de Mazenod. Saint Eugene is an illustrious son of this city, Aix. To us Oblates, for us all, this church of the Madeleine, means a lot. We could say: this sanctuary is the witness to the Advent of God in the life of St. Eugene. It could likewise become a symbol of the Advent of God in our lives as well. “Prepare the way of the Lord; make straight his paths”– how has this become true, here in this very place, in the life of our saint ? How is this temple speaking to us about the advent of God, especially in the life of Saint Eugene? To move forward in the spirit of Advent I invite you to have a look at three things in this temple: the baptismal font, the pulpit, and finally at the statue of Our Lady of Grace. “To please you, act for your glory, will be my daily task, the task of every moment of my life. I wish to live only for you, I wish to love you alone and all else in you and through you. I despise riches; I trample honours under foot; you are my all, replacing all else. My God, my love and my all”. This was an affirmation constantly echoed in words, but most of all, in action. After his baptism, Madeleine has also been for our Saint an oasis for maturing in the life of God. Events in the life of the young Eugene are rather dramatic. The Revolution drives him and his family fleeing from France and to lead the life of an exile: an émigré. It is only when he is 20 years old that Eugene is able to return to his beloved Aix-en-Provence. He lives with his mother at No.2, Rue Papassaudi, a couple of minutes' walk from this church. This is his parish church – here the young man would come to pray. No doubt during the years of his discernment he receives many graces here which lead him to understand his vocation to go the seminary and become a priest. As I hear this powerful message resounding through this Church again today, I also look at the confessionals and the tabernacle and remember that the aim of Eugene's preaching was to lead his listeners to an encounter with God's love through the sacrament of reconciliation here in this church and to be united with the Lord Jesus in the intimacy of Holy Communion. Coming to celebrate Mass here in this church each day he passes by the prison, and becomes aware of those abandoned in the cells of the prison, especially those condemned to death. He offers his services to bring them to know the love of God, which he had come to know himself in such a large measure in this church. Similarly he becomes aware of how the church was failing to attract the youth and to lead them effectively to God's love. He feels inspired to begin to work among the youth and begins a highly successful youth association that reaches a membership of 300.
c) It is in reference to this beloved youth ministry of Eugene as young priest, that our gaze turns to the statue of Mary, Our Lady of Grace, so loved by you, the people of Aix. In 1814, Eugene ministers to the Austrian soldiers who are imprisoned in the barracks. They are dying of typhus – and Eugene responds to the needs of these dying soldiers, thereby contracting the fatal illness himself. The young men of the youth association pray constantly in the presence of this statue for the healing of their Director. He is healed and regards it as a miraculous healing brought about by the intercession of Mary as a consequence of the fervent prayers offered by his youth. After his convalescence, his first public Mass is celebrated here in this church: in thanksgiving for the love which surrounded him and led to his healing. 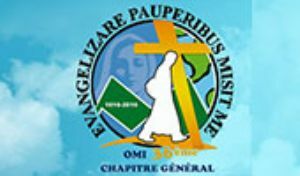 In 1816, Eugene becomes the founder of Missionaries of Provence and transfers to the Church of the Mission on the “Cours-Mirabeau”. From there his apostolic zeal extends throughout France and then, to the other continents. Although Eugene no longer ministers at the Church of the Madeleine, the formation in God's love in which he was moulded here, was to be the foundation of his spirituality and zealous ministry. He lived his advent in this temple. “Prepare the way of the Lord ; make straight his paths”. Ten years ago at the canonization, Pope John Paul II called Eugene de Mazenod “a man of the Advent”. In the church of the Madeleine he was personally being shaped for a mission which has world-wide repercussions even today. Eugene, man of the Advent, stands ready to help each one of us get prepared for the ways of the Lord. Let us follow his steps as he followed Christ. To conclude let me say that the tree symbols of this temple indicate to us how we can get prepared and become a road on which God can walk into our time. The baptismal font tells us: we must become aware of Christ's life which is already in us. The pulpit invites us to have eyes and hearts for the poor and abandoned of today. The statue of Our Lady of Grace reminds us of the power of common prayer, the power of community. In these ways we can prepare the Advent of the Lord today. Amen. The recent “Heritage” day, the last Sunday in September 2005, showed that the city is very much aware of its rich religious memories too. Cloisters and churches, of which there are about thirty in the city, were specially highlighted in the tourist office brochure. Today, a number of these places are closed or devoted to more secular purposes, but they retain their former appearance and are what are known as “classified” buildings. Augustinians, Benedictines, Cistercians, Dominicans, Franciscans, Jesuits, Carmelite priests and Sisters, Sisters of Charity, Little Sisters of the Poor, all have contributed to the architecture and development of the city. Even today there are about ten Orders or Congregations who have communities in Aix. For almost two centuries now the Oblates of Mary Immaculate have been part of that history. The young priest, Eugene DE MAZENOD, took over the former Carmelite convent on the Grand Cours in 1816. During the preceding two centuries the Sisters had bestowed their very special religious mark on the property, contributing greatly to what it is now. Having been expelled by the Revolutionaries, the Sisters never returned. The convent was acquired by a young priest named Eugene de Mazenod in 1816 as a base for his youth association and later as a residence for his missionaries. It has become known as the Oblate chapel (otherwise, the Mission Chapel) and that is how it is indicated on the city maps. Saint Eugene and his Oblates are very much a part of Aix history and the Oblates of today are determined that they shall so remain for the years to come. Besides the Mission Chapel and the adjoining cloister there are other visible signs of their presence. A marble plaque above the doorway of 53 Cours Mirabeau reminds us that this is where our Saint who was canonized in 1995, was born on the 1 st of August 1782, a stone on the end of the building known as the Enclos in the Seds area which was family property bears the Oblate coat of arms and is a reminder that it was here the young priest started his youth movement, a large monumental mission cross on the end of the Avenue des Belges bears the names of Eugene and his companions who preached the city mission in 1820, a sedate thoroughfare in the newer suburbs to the north bears the title Avenue de Mazenod and a less important country lane leading to two family properties which, as Bishop of Marseille, he sold to raise funds for a clergy nursing home is marked Chemin de Mazenod. 2005, the tenth anniversary of Saint Eugene's canonization is an occasion for the Oblates and for Aix to remember someone to whom they owe so much. The events marking the occasion were organized by the local Oblate community under the able direction of its Superior, Fr. Maxime CHAIGNE with the capable assistance of a committee of friends who frequent the Church of the Mission. Ample publicity was given to the event both in the local newspaper “ La Provençe ” and on posters and leaflets distributed throughout the city. Beginning on the morning of Saturday, December 3, Father General and a delegation were received by the Lady Mayoress of Aix in the City Hall. The evening program began at 5 p.m. in the house on the Cours Mirabeau. Two conferences were delivered by the Provincial of France, Fr. Bernard Dullier, on the spirituality of St Eugene and by Fr. Steckling on that spirituality as lived by the Oblates and their many fellow workers in the more than sixty countries where they are present today. We had expected fifty, maybe one hundred, in the audience; in fact three hundred came. The oratory was no longer large enough. Extra chairs, extra places; eventually even the corridor was crowded. Both speakers received the enthusiastic applause of the audience. Afterwards the exhibition on the life of the Founder was inaugurated. It had been prepared by Dominic Dessolin and his team in the corridor and surrounding area of the former Carmelite convent. Everybody then joined in sharing hot wine, roasted chestnuts and a variety of other goodies in the cloister. The evening was not yet finished. At nine o'clock Vincent Gruber and his colleagues from Lyon provided a musical presentation of the life of St. Eugene in the Church of the Mission. More than one hundred people had remained for that event and when the show ended at half past ten their applause was wholehearted. Sunday morning dawned bright and sunny. The Mass in honour of St Eugene was held in the Church of la Madeleine where his priestly ministry began. It was presided by Archbishop Claude Feidt and on either side of the president were Fr. Guillermo Steckling, Superior General and the Vicar General, Fr. Eugene King. Twenty-five Oblate and other priests from the diocese concelebrated. All of the four hundred and fifty seats in the church were occupied. Fr. Steckling gave the homily, pointing out the various elements in this church which are associated with the life of Saint Eugene. The prayers of the faithful were introduced by persons from all five continents, each in their own language. The celebrations concluded with a magnificent banquet served to one hundred and twelve guests in the recently restored cloister of the former Carmelite convent where Saint Eugene assembled his mission community in 1816. On November 18, in the Church of St. James in Obra, the Province of Poland solemnly inaugurated its celebrations of the tenth anniversary of the canonization of St. Eugene de Mazenod. The provincial of Poland, Fr. Teodor JOCHEM, presided at the Eucharist and the Vicar General, Fr. Eugene KING, preached the homily. More than 160 Oblates took part in this liturgy of thanksgiving for the gift of the holiness of the Founder: the local superiors of Poland, the preachers of parish missions, the Oblates ordained in 2005, and the whole community of the Obra scholasticate. Among the guests were Frs. Paolo ARCHIATI, Assistant General, and Angelo DADDIO, Superior of the mission in Romania. Also present were representatives of the civil authorities, neighbouring religious communities and many parishioners from Obra. This prayerful gathering began with a brief film on the life and work of St. Eugene, including moments from the canonization ceremony in 1995 and material from the archives concerning St. Eugene and the work of evangelisation by the Missionary Oblates throughout the world. At the start of the Eucharist, there was a solemn procession to the altar with the relics of St. Eugene. The reliquary was accompanied by delegations of children in costumes from the five continents, of young people carrying the Holy Bible, and members of MAMI bearing flowers. Young Oblates in perpetual vows carried the relics of the saint, the Oblate cross, and the Constitutions and Rules. In his homily addressed to all the Oblates and all those present, Fr. Eugene King emphasized the personal encounter of St. Eugene with the crucified and risen Christ. He spoke of the saint's intimate knowledge of the love of the Lord which then became the good news of his own life and persuaded him to bring the good news to the poor. The Vicar General encouraged everyone to be bearers of the good news of salvation in today's world. After communion and the solemn Te Deum, those present were invited to venerate the precious relic of the heart of St. Eugene (indeed, a quarter of the Founder's heart is kept at the scholasticate in Obra). The celebration concluded with a candlelight procession to the neighbouring Oblate cemetery. This entire beautiful ceremony had been arranged by a group of young preachers of parish missions who are at this time preparing themselves for this ministry in Poznan. They also distributed to representatives of the local communities of the province materials that would be useful in organizing celebrations of the anniversary of the canonization in each community. Many such celebrations took place in Poland around December 3. Some of the local residents had been present on that beautiful December day in 1995 when Pope John Paul II, calling St. Eugene a “man of Advent,” presented him to the universal Church as a model of holiness and missionary zeal. Others recalled how they had celebrated in their own countries. The General House and International Scholasticate communities chose to spend a good part of the day in the quiet of a retreat experience. Assistant General, Fr. Paolo ARCHIATI, preached a meditation for the General House community. Fr. James ALLEN preached at the scholasticate. Many members of the General House community even braved a cold, dark and rainy morning to celebrate Eucharist in the Hungarian Chapel in the crypt of St. Peter's Basilica. Both communities also let the media refresh their memories of the canonization as they watched the video made to commemorate the canonization, “Harvest of Souls,” narrated by then Postulator General, Fr. James FITZPATRICK. There were murmured comments as individuals saw themselves or others they knew in the video. It was touching to hear once again the voice of the late Superior General, Fr. Marcello ZAGO. Also present in the video was Bishop Benjamin DE JESUS, felled by an assassin's bullet just 14 months later in front of his cathedral in Jolo. At a gathering of the General House Community, Fr. Raúl CASTRO spoke of the joy of the Oblates in Chile to see so many of the humble peasants come by horseback and by cart to celebrate a new saint whom they scarcely knew and who had no long history in their popular piety. Fr. Mauro CONCARDI spoke of how the Oblates had only recently founded their mission in Korea. At the time of the canonization, neither they nor the Founder were well known, but since then, the interest in the devotion to the Founder has grown. There is now a short biography of the Founder translated into Korean. Fr. Francisco PUERTA spent December 3, 1995, in the recently established mission in Venezuela. The Oblates there have made great efforts to introduce the Founder to the people who are learning especially to celebrate his May 21 feast day. Fr. Alan HENRIQUES was on the staff of a pre-novitiate in South Africa where the candidates and the people who lived nearby were invited to celebrate the Oblates' joy on the occasion of the canonization. In many of the Oblate missions, the people want to know more about the priests and brothers who are serving them. 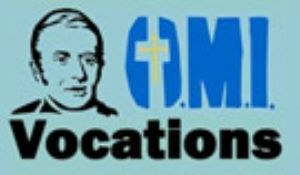 The Oblates encourage the people to get to know the Oblate family by learning something about the Father of the family, St. Eugene de Mazenod. On December 3, 1995, John Paul II canonized Eugene de Mazenod. That's 10 years ago. In the Church, as in civil society, one tries to celebrate such anniversaries. To some, such remembrances are bothersome; they stay away from them. Others find joy in them and they take part in their celebration. For some members of our communities, December 3 will be a day like all the rest. In other communities, it will be the occasion for a family celebration, indeed, a celebration to which we will invite others to join us. For us, this canonization is the recognition by the Church of a WAY OF LIFE. Remembering this anniversary is not a question of our dipping into the past, nor for taking pride that we too, just like the great Orders, have a canonized Founder. It is not a question of having a celebration with no tomorrow nor of escaping our world of today. It is the recognition of the WAY OF LIFE walked by Eugene de Mazenod. It is recognizing it as a WAY OF LIFE for each of us. 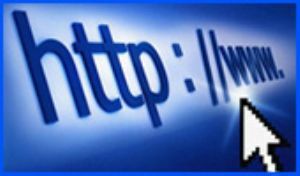 It is recognizing it as a possible WAY OF LIFE for men and women of today. This WAY OF LIFE is first of all recognition of the eternal youth and the eternal newness of Jesus Christ. From his Good Friday Experience of 1807 until the last days of his life, Eugene de Mazenod allowed himself to be surprised, amazed, and captivated by Christ. He allowed himself to be transformed by Christ. He accepted the loss of his certainties and his ready-made ideas. He accepted that Christ would daily reveal to him a new face, ever original, ever amazing. Eugene de Mazenod, a man with truths to believe and to communicate. He is a man of the encounter, the encounter with Christ, the Man living in the midst of mankind; the encounter with Christ, lover of the Father, the encounter with Christ, lover of mankind; the encounter with Christ, the Saviour who reveals and brings about the dignity of each human person. This celebration of the 10 th anniversary of the canonization of Saint Eugene allows us, no matter how old we are and no matter what our missionary situation, to be transformed by the eternal youth and the eternal newness of Christ. It allows us today to be captivated by the eternal youth and the eternal newness of Christ. (cf. Jeremiah 20:7) It is the Christ who called us and captivated us on the day of our first oblation. This WAY OF LIFE is, then, a recognition of the great dignity of each human person. It is the way that led Count de Mazenod, who had looked down upon his fellow men with disdain, disgust and a caste spirit, to become Father Mazenod, telling the poor of every stripe-- the youth on the streets, the prisoners, the artisans, the unemployed, the farm workers--that they were God's favourites, and that God alone is dear to each of them. He told them with his words and the life he lived, no matter what the consequences would be. Priest, founder, bishop, he loved each person he met. Each person was unique for him, loveable and worthy of respect. His whole life he lived “for the glory of God.” But for him, “the glory of God is man fully alive.” His delight in the eternal newness of Christ became delight in man, in humanity with its thousands of faces, and in particular, in those who no longer had a reason to be hopeful, in whom the gates of life had been closed, “for those who in the eyes of the world were loathsome.” (cf. sermon at the Church of the Madeleine) Or worse still, those for whom the world no longer even takes into account. To celebrate the 10 th anniversary of the canonization of Saint Eugene allows us, no matter how old we are and no matter what our missionary situation, to be transformed by man who is the image and likeness of God, by man whose name God “has written on the palm of his hand, for he is precious in his eyes” (Isaiah 49:16). Man who captivated us on the day of our first oblation. The celebration of the 10 th anniversary of the canonization of Saint Eugene invites us to remember our own call and our own Oblate vocation. It invites us to renew ourselves by our actions, by our life, by our prayer, by our presence, by our acceptance of our Constitutions and Rules which we have received as a WAY OF LIFE on the day of our first oblation.